New Delhi, 17th March 2016: Fin-tech start-up IndiaLends.com has launched India's first Credit Score and Analytics app that allows consumers to check their Credit Score on their mobile phones instantly and for free. "Credit awareness in India continues to be very low vis-à-vis countries like the United States. If you were to ask a consumer in the US what his credit score is, 10 out of 10 people would know it. In India, only a handful of consumers are aware of their credit score.As a result, unaware consumers who apply for loans are more likely to get their applications rejected or be charged higher interest rates and fees. Our app gives consumers the power to access their credit scores for free, and that too instantly. This enables them to make better decisions and negotiate affordable interest rates." said Gaurav Chopra, co-founder, IndiaLends. There are currently more than 230 million mobile internet users in India, most of whom are using their mobile phones for online shopping and financial transactions. However most consumers have limited knowledge about the importance of a healthy credit score and its different uses to fulfil their credit needs. With the IndiaLends App, consumers will find it simple and convenient to access and manage their credit on their mobile phones. "We received an overwhelming response to our online Credit Score and Analytics product that was launched in December 2015 and got over 10,000 credit report applications within the first 45 days. With our app, we will now be able to expand the reach of our services to a larger audience." continued Gaurav. Besides credit awareness, the IndiaLends app has features to simplify the way consumers manage their personal finances. "Our app offers consumers a suite of services such as the ability to track and manage multiple credit accounts including credit cards, home loans, car loans, gold loans,etc., get recommendations on how to improve their credit score, set EMI payment reminders, and get updates on the best loan or credit card deals. Consumers can also use the spend analysis feature on our appto manage their savings better. Having both their credit and expenditure information together, will enable consumers to achieve their financial goals more easily." said Mayank Kachhwaha, co-founder, IndiaLends, who was recently recognized by the Forbes India magazine as one of the '30 under 30' people in India who are making a huge impact. 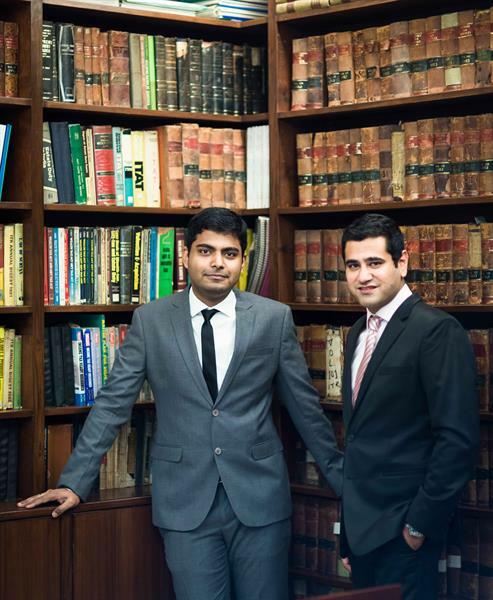 IndiaLends, which raised its second round of funding in October 2015 from prominent investors such as DSG Consumer Partners, Siddharth Parekh, and Gautam Radhakrisnan, amongst others,has plans to add more products and services to achieve their vision of making credit products more affordable to consumers in India. With the IndiaLends app and online platform, consumers have the opportunity to become aware of their credit worthiness and can work towards improvingit in future. Talking about this development, Deepak Shahdadpuri, Managing Director, DSG Consumer Partners said:"This is the first consumer-facing mobile app from IndiaLends' product roadmap. This is indicative of how the next generation of financial services companies will use technology,fragmented and unorganized data, analytics,and data science to deliver a product that consumers can use to make real time decisions based on their current financial position. We are excited to be working with the IndiaLends team to be part of the new generation of Indian businesses partnering with banks, NBFCs, insurance companies, and other financial services companies, to deliver a more relevant product offering to the Indian millennials." The IndiaLends App is currently available on the Android platform and can be downloaded from Google Playstore. It will soon be launching on the iOS platform. IndiaLends is a credit underwriting and analytics platform for unsecured consumer lending. Available on both the web and mobile, IndiaLends uses proprietary algorithms to connect borrowers with the right financial institutions. IndiaLends also provides data analytics and risk scoring services along with a loan management platform to financial institutions. It has also helped automate workflows and risk assessments thereby making the loan disbursal process much more efficient. IndiaLends is run by a team of bankers and data scientists with multiple years of experience in consumer and small business credit. For further information, please visit www.indialends.com.